The free trade deal between Canada, the United States and Mexico that leaders from all three countries agreed to in principle recently is a long way from becoming law, as the man in charge of the U.S. Senate says there's no chance lawmakers will vote on the pact before next year. The free trade deal between Canada, the United States and Mexico that leaders from all three countries agreed to in principle recently is a long way away from becoming law, as the man in charge of the U.S. Senate says there's no chance lawmakers will vote on the pact before next year. Senate majority leader Mitch McConnell told Bloomberg in an interview Tuesday that there's no chance the logistics can be worked out to ensure that the U.S.-Mexico-Canada-Agreement — or USMCA — will make it to the floor of either the Senate or House of Representatives before the end of the year, so it can be ratified by lawmakers. The statements come against the backdrop of U.S. midterms next month, elections that could see the Democrats take back one or both arms of the federal government. Voting soon would allow the vote to go ahead while Republicans still control both arms of the U.S. Congress and theoretically support the agenda of U.S. President Donald Trump. While many Democrats have expressed support for free trade with Canada, the temptation to throw a wrench into the works of a policy that Trump is already claiming as a political win may be too great. 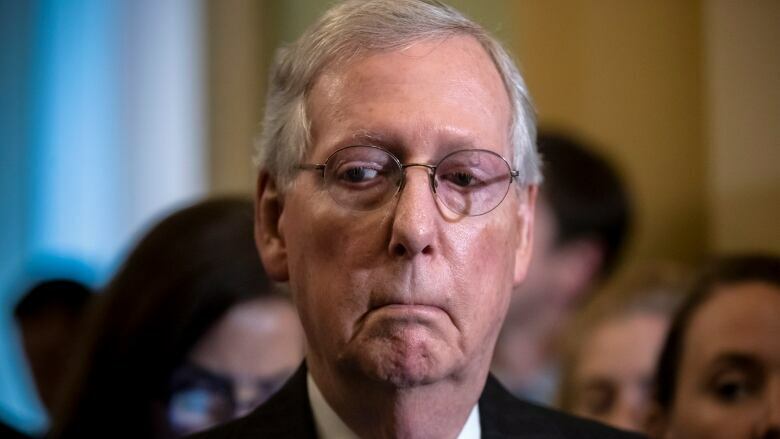 "That will be a next-year issue because the process we have to go through doesn't allow that to come up before the end of this year," McConnell told the U.S. news agency. "There's no question this will be on the top of the agenda," next year, the Kentucky Republican added. Last week, the Senate's No. 2 Republican, John Cornyn, had said it was "unlikely" the Senate would be able to vote in the final weeks of 2018. Some industry leaders had held out slim hope that a deal could still be approved this year. The final details of the agreement have yet to be worked out, and trade officials are hoping to have the specifics ironed out by the end of November, which would have made the timeline to ratify a deal in 2018 extremely tight to begin with. Mexico is on track for its new legislature to ratify the deal in December, and the Canadian government is planning to put the trade pact to a vote next year too. But any possible delays out of the U.S. are more significant since the U.S. was the part of the triumvirate pushing for a new deal to replace NAFTA (the North American Free Trade Agreement) in the first place.